She’s ready to go shopping! Let’s make sure she gets safe toys. When I post to Relish, it’s usually to share something I’m truly excited about. And I’m excited about this, too — but not in a good way. I’m actually quite upset. First, though, let me start with some positive feelings. 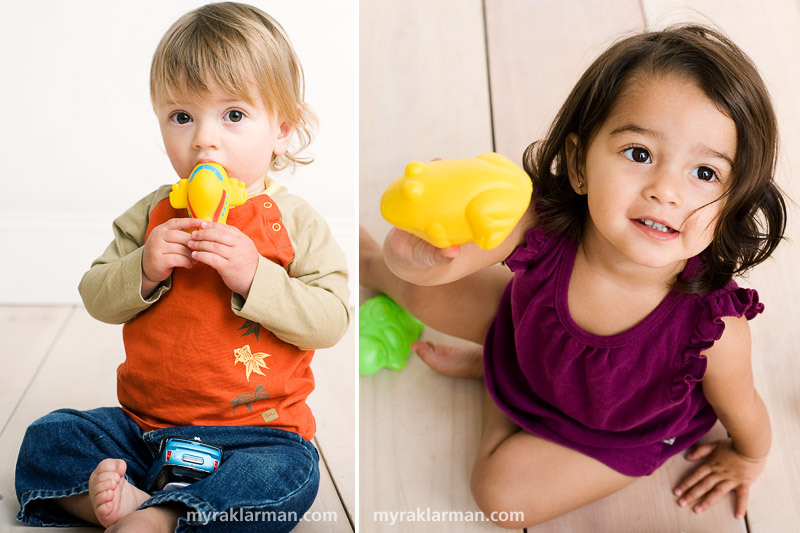 In October, I had the opportunity to photograph children for HealthyToys.org’s 2nd annual Consumer Guide to Toxic Chemicals in Toys. 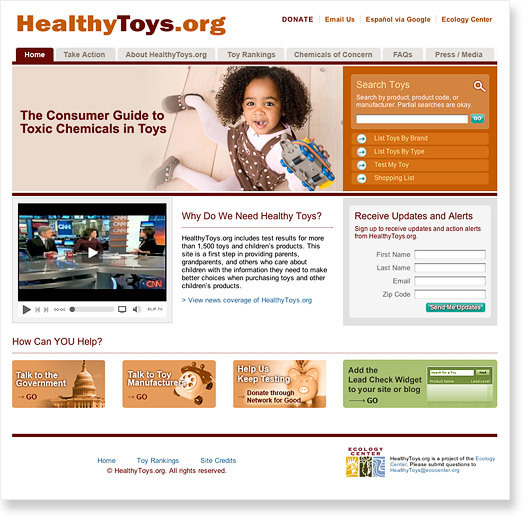 HealthyToys.org is a project of the Ecology Center, a non-profit, environmental organization based in Ann Arbor. The website, designed by Inner Circle Media, launched this past week. I got to work with some very fun kids, whose parents eagerly lent their children to the cause. And now that sour feeling… I’m utterly freaked out by the number of toys (38% of the 1500 tested) that contain dangerous levels of lead and other harmful chemicals. My first thought when I accepted the project was that the potentially harmful toys would be obscure, bootlegged items. But upon perusing the list of worst offenders — those containing the highest levels of toxic chemicals — I was shocked to discover totally mainstream toys. I even noticed something I purchased for Max a few years ago called Bath Letters & Numbers, which contains a high level of mercury. He literally teethed on those damn things! I’m sick to my stomach. 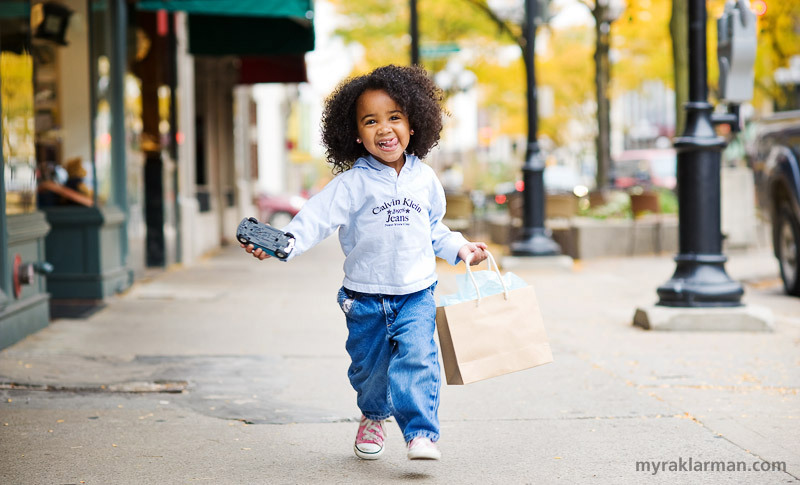 Good news: the Consumer Product Safety Commission enacted regulations that will remove many dangerous toys from store shelves. Bad news: these regulations don’t go into effect until February 2009. So yes, soon-to-be-illegal toys are now on store shelves near you, readily available for the upcoming holiday gift-giving season. More sick feelings. This press release from HealthyToys.org summarizes the problem of risky toys. One point worth mentioning here is that 15% of tested toy jewelry was contaminated with lead in amounts above 600 PPM. We’re not talking about obscure, no-name toy jewelry. We’re talking very mainstream, very likely-to-be-asked-for-by-your-grade-school-daughter jewelry — can you say Hannah Montana and High School Musical? To end on a positive note, most of the toys tested are safe. And, thanks to the Ecology Center, we now have a tool to help us steer clear of certain dangerous toys. Learn what you can do to take action. 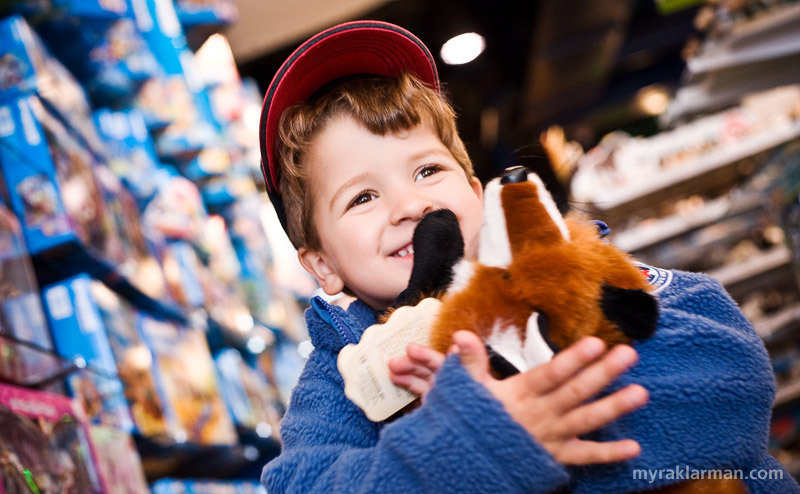 One of my models poses with a very cuddly fox at Tree Town Toys, which generously opened up its warehouse and allowed the Ecology Center to test toys that were not found at the big box stores. wow. what can i say. you rock. you are awesome. and truly inspiring!